This plaque is carved in 3-D bas-relief. 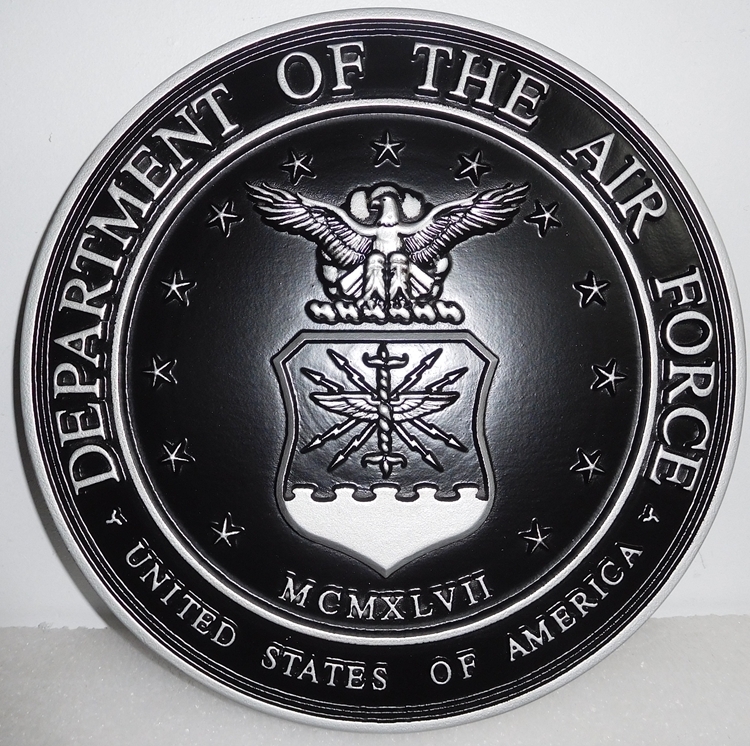 It is plated with aluminum, polished in high areas of the artwork , letters and border, then the plaque, including the background, is hand-rubbed with black paint. The plaque is then clear-coated twice with Matthews clear polyurethane acrylic . 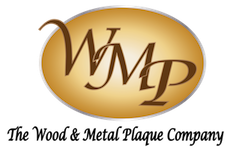 The price for this plaque for various sizes is given on the PRICE web page (click here or on PRICE in gold masthead), where the price is listed under Style Category 1.2.7 with Price Code MD1 . This plaque and similar Air Force seal plaques are shown on the US Air Force Plaques page.